Multiple overlooks of stunning canyon. Enjoy a thrilling, scenic climb to a second great overlook of Hidden Canyon. We start the trail at the north end so you’ll run it in sequence with Trail #7 as it’s done during the Easter Jeep Safari as part of the long 3D Trail. Because it’s a Safari route, it’s well marked. Run trail in reverse to eliminate the difficult section. 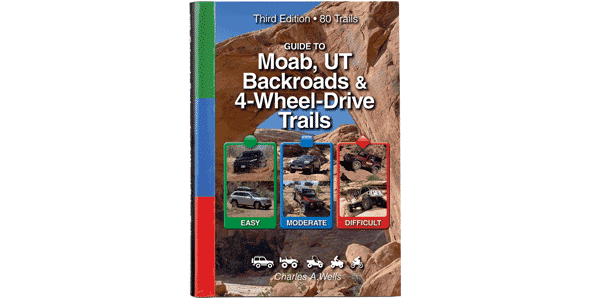 A fun trail for ATVs and UTVs. Difficult. There are no major obstacles, but trail is very steep and narrow for short distance. Parts of route are still confusing even with good markers.